Aspirin – It’s that wonder drug which is used for headaches, fever, muscle pain, swelling of joints in arthritis, and to prevent heart problems. Over the years, many benefits of aspirin have been discovered by medical practitioners. It’s a pain reliever, a blood thinner, an anti-inflammatory drug, and a cancer preventer. With the increased risk of many types of heart disease in diabetes, there are benefits in taking low-dose aspirin daily. Who needs to take aspirin? Aspirin comes in various forms including an enteric coated tablet with extended release or delayed release. It also comes in the form of powder, a chewable tablet, and in a gum form that can be taken by mouth. Since aspirin is known to give a stomach upset, it is prescribed along with antacids. People with diabetes carry a much higher risk of getting heart problems and cardiovascular diseases. Complications of diabetes include damage to the nerves and damage to the small and large blood vessels. When damage occurs to the blood vessels and nerves of the heart, it leads to numerous heart diseases. In diabetes, people also tend to have high cholesterol levels. This leads to the formation of plaques that block blood flow through the heart and to the tissues of the body. This process is also called atherosclerosis. Plaque consists of cholesterol, calcium, and debris of the cells. Atherosclerosis further leads to chest pain, angina, coronary heart disease, and congestive heart failure. Apart from this, people with diabetes are at a higher risk of vascular thrombosis. Vascular thrombosis is a condition in which there is formation of blood clots in the blood vessels. Vascular thrombosis can be acute vascular thrombosis, deep vein thrombosis. Vascular thrombosis can lead to life-threatening conditions. 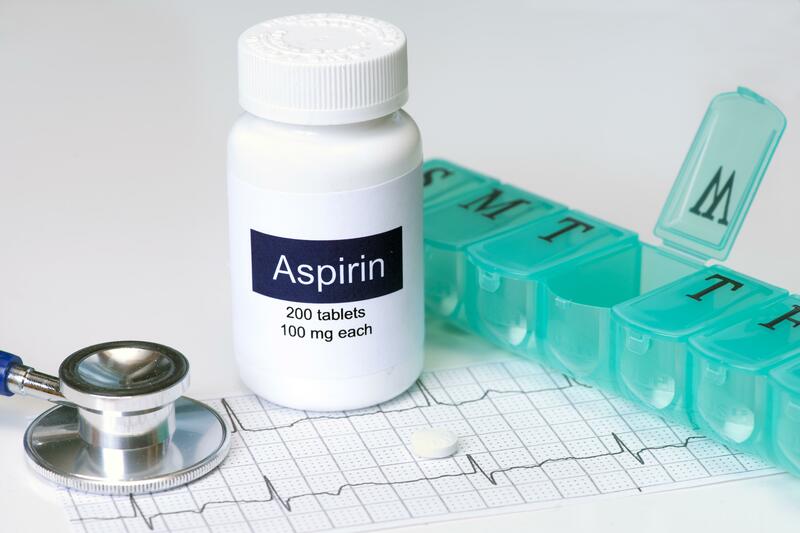 Since aspirin is has blood thinning properties, it prevents the formation of blood clots. Since chronic high blood sugar levels in diabetes cause inflammation, aspirin is prescribed as an anti-inflammatory drug. Aspirin is prescribed in low doses as a preventive measure in order to prevent heart diseases. Who should avoid taking aspirin? If you have diabetes or any complications of diabetes, it is important that you assess your heart disease risk from time to time as per the instructions of your diabetes doctor. It is also important to maintain diabetes control, reduce the intake of salt, and get regular exercise in order to reduce the risk of cardiovascular diseases. Remember, with proper glycemic control, you can limit the risk of the diabetes side effects.